It's been awhile since I've had the time or energy to do a DIY project. So I thought that with Shaylin's birthday party coming up, now was a good time to get back in the game with something small. 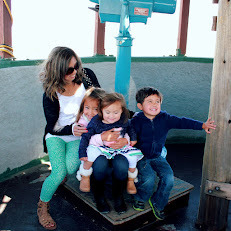 While I wasn't intending on doing two birthday type posts in a row, with my kids birthdays being just a month apart, I guess it was kind of bound to happen! 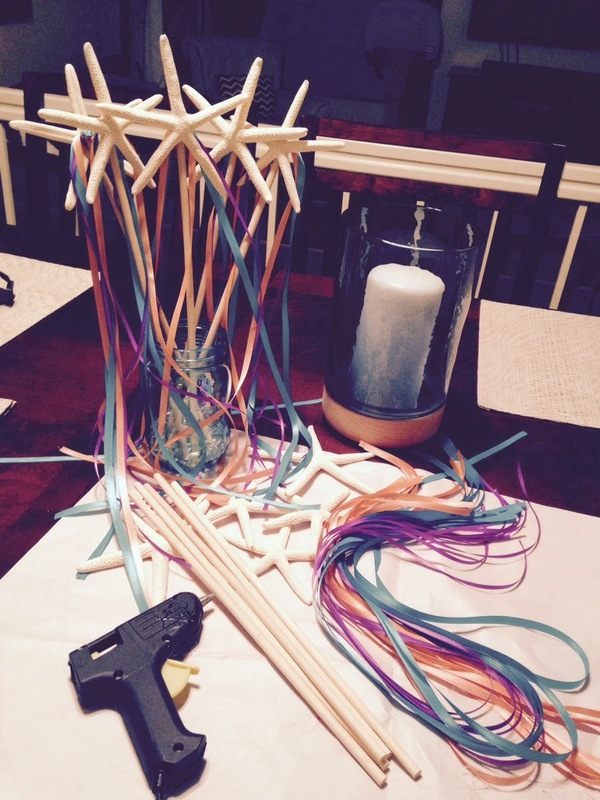 For Shaylin's upcoming "Under the Sea" party, I did what any party planner would do...consult Pinterest. Pinterest is such a great friend - available any time of the day or night, never fails to provide a million ideas, and keeps all your ideas in a convenient location just for you. However, Pinterest can also be a very bad friend. Have you ever heard of information overload? That is exactly what Pinterest is. It can take literally seconds to pin a hundred brilliant ideas, but no sane human can ever fully execute all of them. Thanks for setting me up for failure, Pinterest! Just kidding. :) I knew that realistically, this year I could only handle one (maaaybe two) projects for this party. 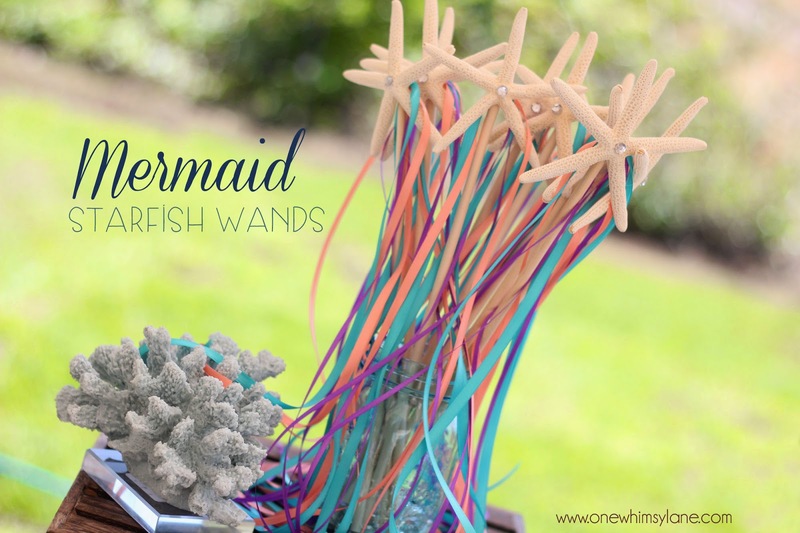 These mermaid starfish wands were one of them mostly because they were pretty, and they looked simple enough. The ribbon spools were just 50 cents a piece, and at 10 yards each, they were the perfect length. I started by cutting each spool into 10 equal pieces. Each wand woiuld have one strand of each color. I'm not good at taking in progress photos so here's the only one I had taken, halfway through the project the other night. After a long day with the kids, dealing with terrible twos, and the exhaustion of being pregnant, this project was actually relaxing for me and didn't take long at all. I put them together while catching up on last week's Dancing With The Stars. 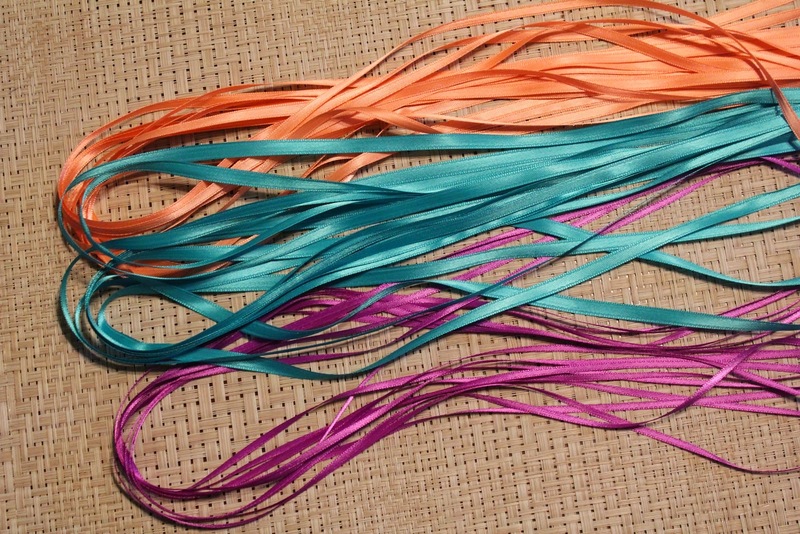 I grabbed one ribbon of each color, and tied the ribbon strands (three at a time) to the top of the dowel and used a glue gun to glue them on for extra support. 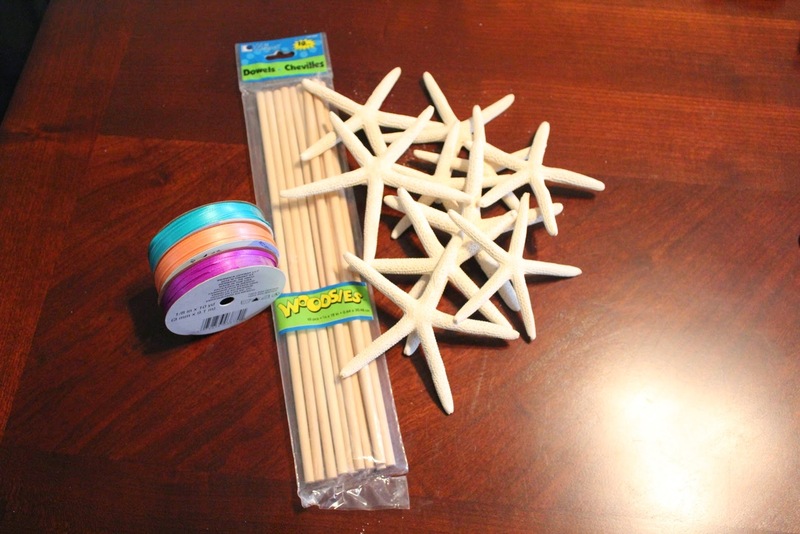 Then I glued the starfish to the front of the dowel. That's it! Oh, and I did find some jewels in my craft box and ended up gluing those to the front as well. Here's the finished product. 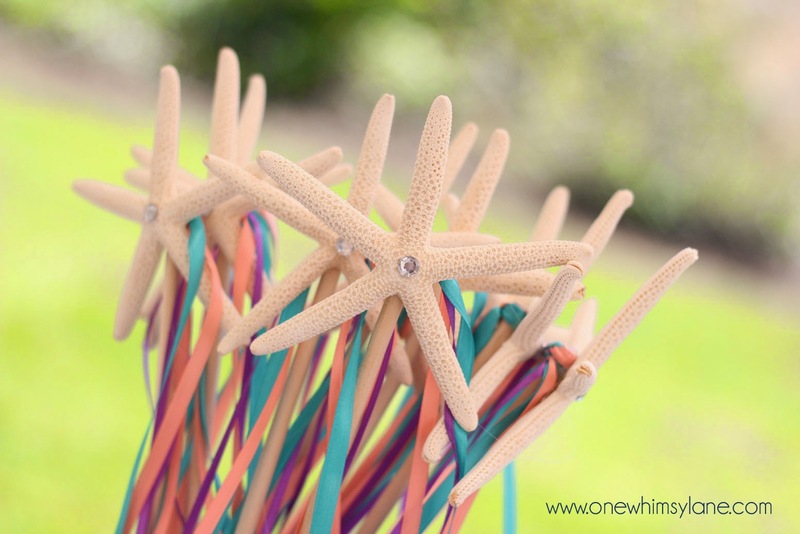 Simple starfish wands for any mermaid princess! Visit Carly's profile on Pinterest. Don't miss a thing! Subscribe here to get all the latest updates delivered straight to your inbox!